This time last week as predicted, I was walking a bit ‘John Wayne is big leggy’ and feeling not as fresh as I might – it being the day after the marathon. I was a bit tired – but this tiredness was more I suspect due to post-race champagne excess and an early start for Monday work than the race effort. Yes – standing up after a time seated was a slow process, but I did not feel as destroyed or wrecked as I thought I might. The cocktail of euphoria, relief that it was behind me and an excess of adrenalin was serving me well. Eight days on – the detail of my first marathon experience is both a fading memory and as clear as if it had just happened a few hours ago. I have been reading other Stirling marathon race blogs – and is good to recognise similar versions of the day to my own, but also to read of a completely different race experience. Illustrating how with a marathon, or any mass running event, while it is a collective experience it is very much your own race. 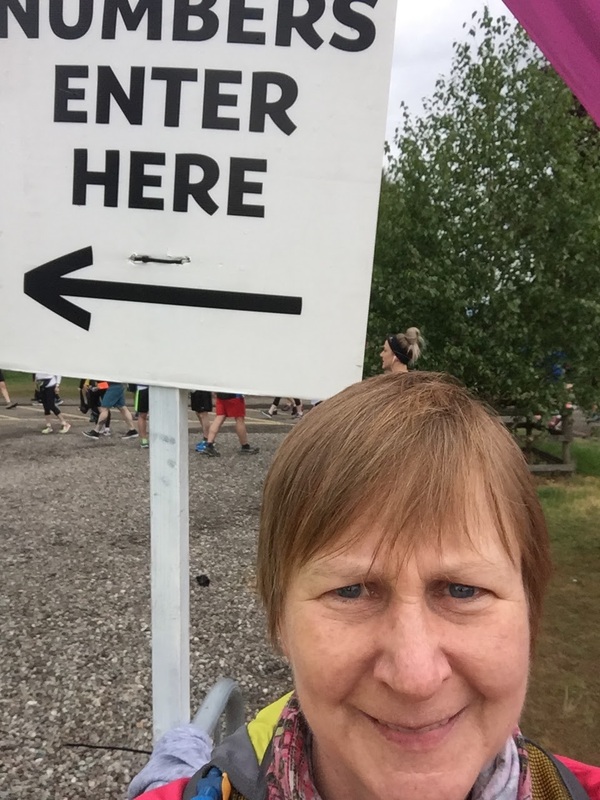 Somewhere along this marathon journey – I came across this blog by Angela – That extra inch– Angela was also running her first marathon and her training sounded quite like my own. We exchanged a few comments and words of encouragement via our blogs in the latter weeks of training, and I enjoyed reading her race story. Her account of the day had many similar observations and emotions to my own – we both love a good spectator sign, we both had a secret and not so secret time goal, and were both chuffed to join the marathon club – and as we completed the race with only 7 seconds between us, we must have been pretty close running companions amongst 1000s of runners. On the other end of the racing spectrum – I have been following the training and race prep of Owain Williams aka Scottish runner. Owain was training for a sub 3hr marathon which he achieved with room to spare and great aplomb – Bravo Owain! Reading his account provided a great insight to how to apply mental toughness and the benefit of good race planning, not to mention the deserved reward of dedicated training paying off. ( Owain’s time 2.52.52 ) But – with his 6 min mi pace and the ( apparent ) ease with which he dealt with the finish lap section and other obstacles – it brought home to me the difference between experienced racers and those of us who just look to get to the finish. If you are a runner or a marathoner be it a first of 50th time – I think reading the accounts of fellow runners’ race experience is both enlightening and fascinating, but I do appreciate that it might not be quite the page turner if you are not a runner. 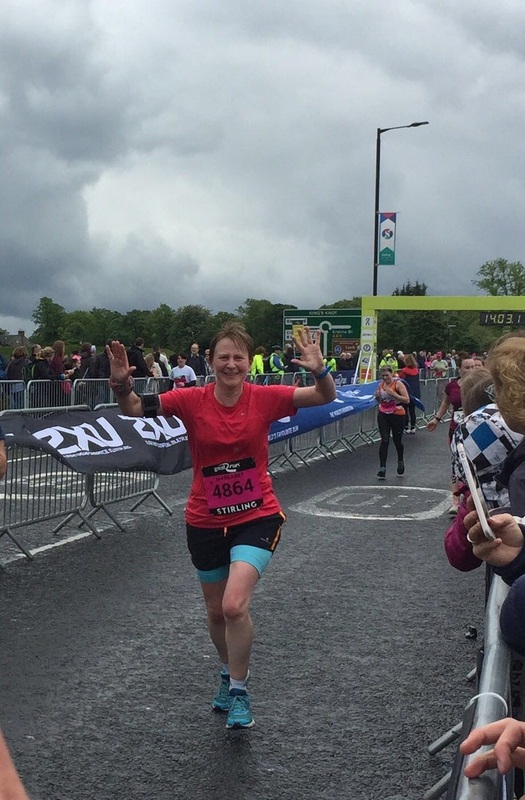 As it happens – my own race story is not one full of great incident or drama albeit it has a good ending – and as I was mainly trying to keep myself moving for 26.2 miles, and it was raining – I don’t have many pictures, except those in my head. Maybe this is why it feels a little bit unreal, now I am back to normal life and have cast off both the marathon training regime and the overriding fear of failure that has been with me since I decided to do this many months ago. But of course, there are a few moments that stick in my mind – first off how emotional I felt at the start. Friends and family know that I am easily given to crying – both with happiness and sadness – so it is maybe not surprising that I was going to well up at some point – although I think the acceptable place for a good greet should have been the finish line ! Instead, as I lined up waiting for our wave to start, in the mildly surreal environment of a Safari Park I was quite overwhelmed and found myself sobbing – proper tears were running down my face. While race starts are given to drumming up a kind of collective emotion, particularly around music choices – it was not hearing the Proclaimers for the 3rd time that started me crying – but a deeper level of emotion I felt about how far I had come to get to this point. And a quiet acceptance that I was definitely going to finish the race. So the first section is quite undulating and after a slow start, I did go a bit faster than possibly I should have – with my 10k split time at 59.27. My legs felt fresh and I was enjoying the day – looking out for supporters I knew would be at Doune which is about 4.5 miles in. The crowds on the race route in those early sections through Doune, Dunblane and Bridge of Allan were amazing – and I understand now how important crowd support is. I did as many high 5s as I could and hoped I was smiling, as advised( top tip from a fellow runner). I do have a tendency to grimace in concentration. At the Stirling Universty section, I encountered a rookie error of not having scrutinised the race route closely enough. I reckon I spent so much time worrying about the laps at the finish I did not bother to check much else. So I was a bit derailed by the steep hill loop and by this time it was raining quite heavily – so I decided to slow down and put on music- up until then I was not using headphones. I thought this next section a wee bit tough but it marked the half way point which is a nice feeling. My half time was quite slow at 2.13. Miles 13 – 17 I expected to be a bit light on crowd support and as it is a long straight stretch these miles were a bit of a slog. I tucked behind a group from Calton Athletic and just tuned into my Van Morrison on repeat! Confusion aside, coming into Stirling the crowds everywhere made me feel like a proper runner, even if my arrival in the city coincided with me hitting a bit of ‘a wall’ at mile 18 and nicely timed as I caught sight of my family and friends. Of course seeing people who have come to support you is a massive boost – even if I was dealing with the reality of legs that did not want to work, a dodgy tummy and 8 miles to go. The good thing about the lap set up is knowing you will see supporters again – the not so good thing is the course had a few nippy hills and narrow sections and disappeared into some very quiet spots – and this made it hard for me to keep running. Owain had given me the advice to try to not walk – but between miles 18 and the finish, I did resort to walking some sections. My pace dropped to a slow as 12 min miles, and I was reassessing my finish time from the ridiculously optimistic Chariots of Fire 4 hrs 30 to just finishing before the sweeper, to fingers crossed do it in under 5 hours. I was wearing a watch – but I am never very good at doing the maths or reading the dial or even properly knowing what I have to do to reach the desired time in races, and I think in this case I was going a bit woolly of thinking. Not much else to report other than my phone battery almost ran out and with it my sounds. I started developing cramps in my legs as I was doing the last few miles ( think I was drinking too much water ), but then once I had passed mile 25 I found a wee boost of energy and while I won’t say it was a sprint finish – I am proud of how I ran the last 1 mile 385 yards. As I was approaching the finish line I caught sight of the gun time and saw it edge to 5 hours – and was a bit gutted – until I saw that the pink wave time was 4.40 something. Hallelujah – I crossed the line over the moon to be comfortably under 5 hours and full of I bloody well did it and other end of race exaltations of delight (no tears). My time was a sweet 4.40.00 which I was very happy with. While I have been training for this race I have thought of lots of analogies around journeys and other life changing or transformative experiences. When I was in the latter stages of training and dreading the inevitability of the full marathon distance, it felt a bit like when I was pregnant with my daughters and full of the fear of childbirth, while knowing I had to go through with it. Now having completed a marathon I can say from my experience of both that childbirth is much harder and unpleasant ( sorry sisters ). Will I do another one? I don’t think so, but I do understand now why some people do go on to run multiple marathons. A BIG THANK YOU – to everyone who has sponsored me or made a donation to Smalls for All using MyDonate or Scottish Women’s Aid via the Justgiving page Through your generosity I have managed to raise £ 522 for Scottish Women’s Aid and £ 326 for Smalls for All. I am a bit behind in my thank yous and admin generally, but to anyone I have not managed to thank personally, I really appreciate your support. Well done Margaret, finally catching up! Very precise time you got 🙂 I suspect you’ll be back for another…..
Well it would have been extra special if I encountered Charlton Athletic obviously 😉Glad you enjoyed my race report ! Congratulations again Margaret, you did a great job!! I also was following an elite runner James who was 5th at Stirling and Iain who finished in 3.37 so it was good to read it from their perspective but I much preferred reading this as it was much more relatable to me! Great read! I thought I had another loop to go, if I hadn’t had my Garmin to say I was at 26 miles I would have gone round again, I think my head was all over the place at the end!!!! I’m glad you thoroughly celebrated you deserved it! That’s me behind you in that first picture coming through the gantry for the final time! Haha! You might have got my good side!! Glad you enjoyed the write up – was good to relive it.